What a difference a pair of shoes can make! 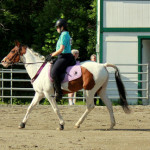 Nala is doing much better in her new shoes donated by our farrier Jake Cowden. 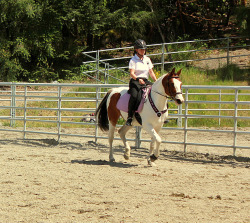 She is much more balanced and comfortable with a rider over the last two weeks since the shoes were put on. 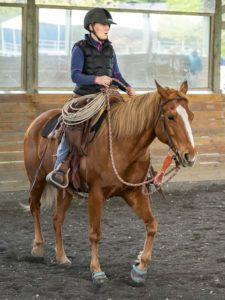 We took her on 3 trail rides this last month and she has constantly been the best‐behaved horse of the group. 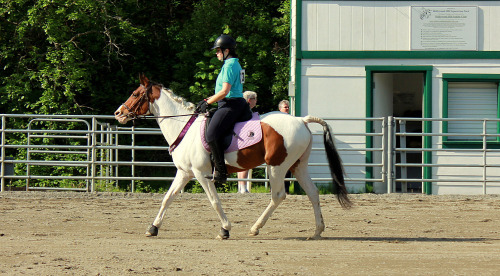 She leads at any point during the ride, she is not startled by people or animals on the trail, she does not spook at sounds or strange new objects in her path and she does not react to having a “wild Arabian” running up her tail when Cameo jumps at her own shadow! 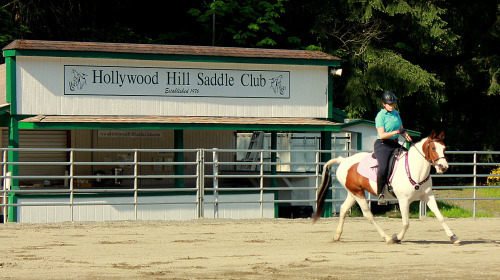 At the Hollywood Hills Schooling show she went in both the English and Western classes. 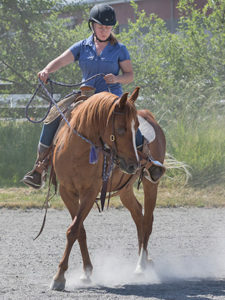 She made us all very proud winning the Reserve High Point award for her English classes, coming home with quite a few ribbons including a few 1st and 2nd places as well as coming in 7th out of a large 15‐horse class in our Western pleasure class. Overall, this horse is going to make a wonderful addition to someone’s family. 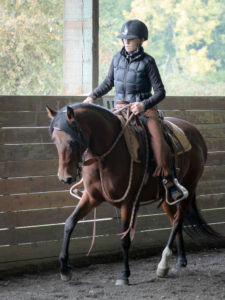 She is very versatile and will be suited for an intermediate rider as she is still needs some direction while riding and support staying balanced.